Meet Peloponisos the land of heroes. 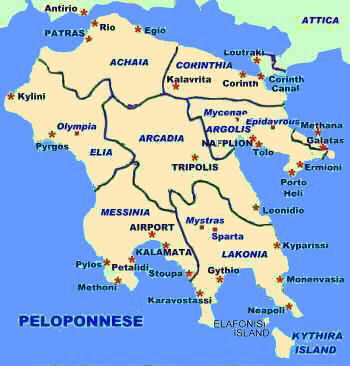 Peloponnese (Peloponnisos) is a large peninsula located in Southern Greece. It is a place of great importance in terms of ancient Greek history, since it is the place where many ancient Greek heroes were born. In 1893 the opening of the Corinth Canal made it the meeting place of the Aegean, Ionian and Mediterranean Seas. Learn more about Monemvasia, the pride of Peloponnisos.